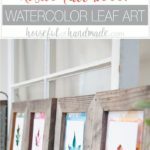 I am sharing the cut files for the watercolor leaf art in my subscriber library. Click here to subscribe to my weekly newsletter and gain access to all the freebies. If you already have your password, click here to download them. I made some of these 20 minute rustic picture frames with reclaimed wood from an old fence. 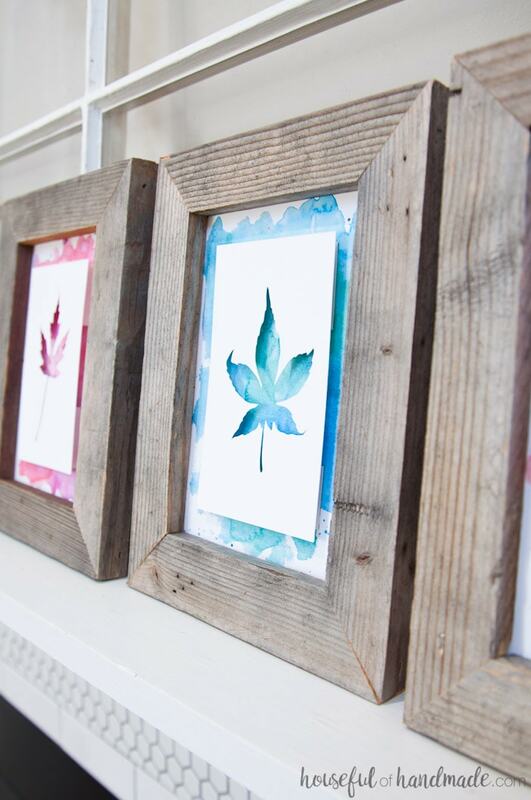 If you do not want to build your own, check out these other rustic frames. You can cut the leaf silhouettes with the electronic cutting machine or by hand if you prefer. If you want to watercolor your own backgrounds, you can do that first. 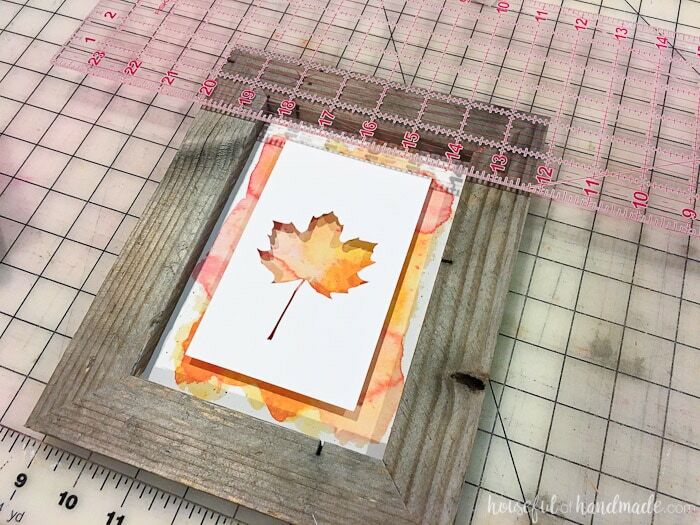 Create 5×7″ squares on your watercolor paper with painter’s tape or masking tape and create color washes to match your own rustic home decor. 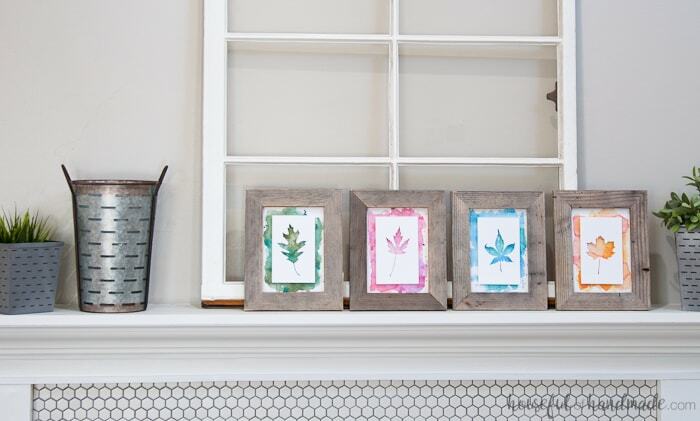 Remove the glass from your picture frames. And if you made your own frames, cut a piece of foam board to fit the back as well. 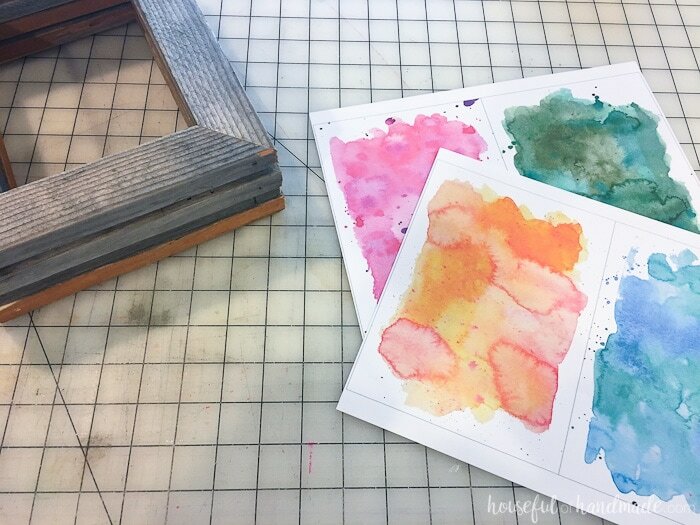 Print the watercolor backgrounds onto cardstock. 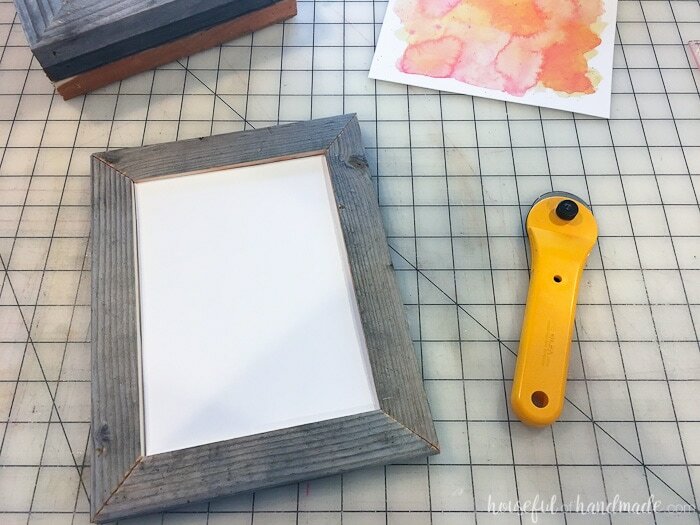 Trim the backgrounds to fit into the rustic picture frames. Then secure with the backing. 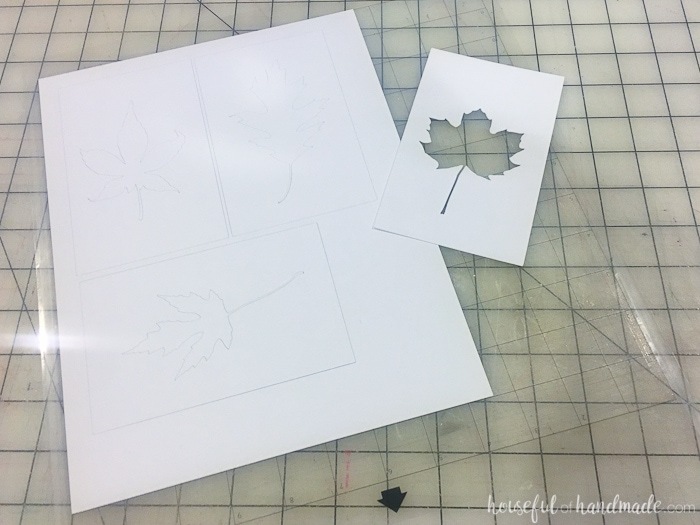 Cut the leaf silhouettes from cardstock with the Silhouette cutting machine (or by hand if you prefer). 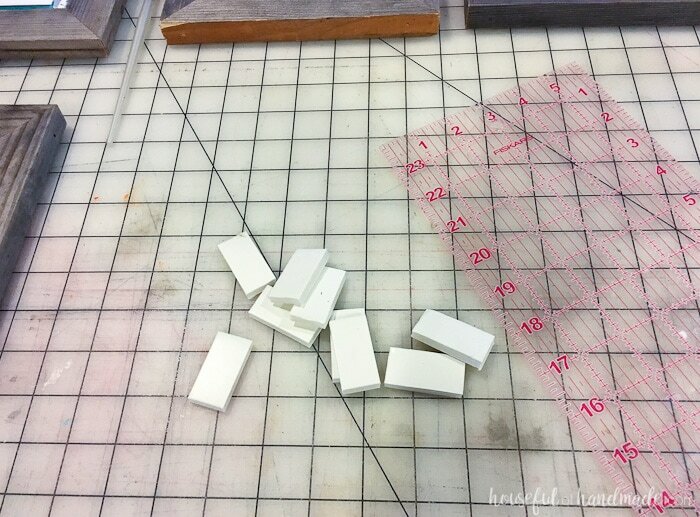 Cut small squares of foam board (about 3/4″ x 1 1/4″). 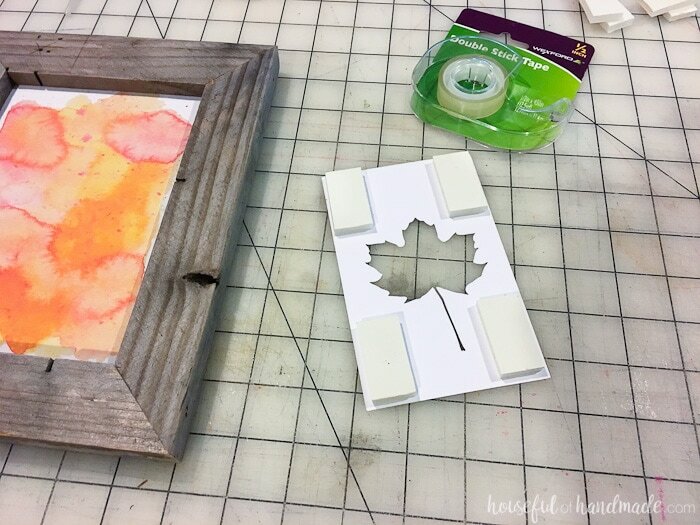 Using double sided tape, attach a small square of foam board to each corner of the back of the leaf silhouette square. If needed, cut the squares smaller so they do not show through the cut out leaf area. 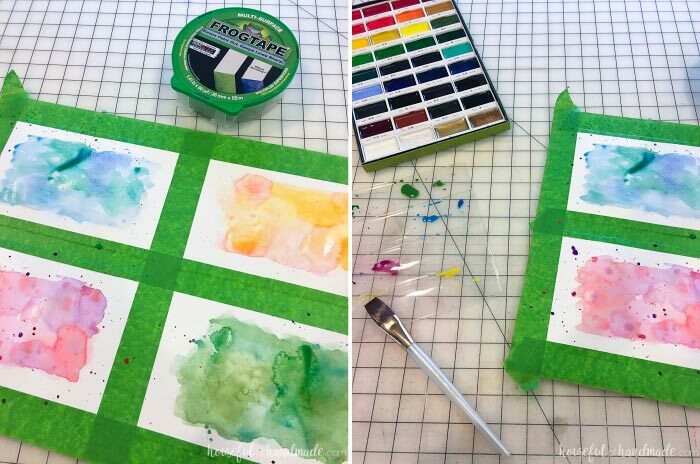 Add a second piece of tape to the back of each of the foam core squares and then attach it to the watercolor background. Make sure to center it on the background (I love the transparent rulers for this). Aren’t they the perfect rustic fall decor? I love how they look on our mantel. They are perfect for fall, without being all orange and pumpkin! The watercolor backgrounds are a little unexpected, but beautifully rustic. And I cannot wait to fill the rest of our home with rustic fall decor. No reclaimed wood is safe from our autumn decorations! How are you decorating for fall this year?